*High-powered attorney Gloria Allred, currently representing two of Tiger Woods’ alleged transgressions, has taken on as a client yet another woman linked to a married professional athlete. Radar Online is reporting that Vanessa Lopez has hired Allred to represent her in a harassment claim against basketball star Shaquille O’Neal. 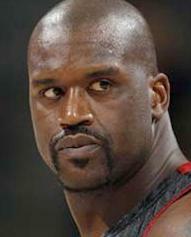 Meanwhile, Shaq’s estranged wife Shaunie has filed for legal separation with intent to divorce. Their next court hearing is March 22. Shaunie is executive producer of the VH-1 show “Basketball Wives,” which will show the ups and downs of being married to an NBA star, including worrying about husbands staying faithful. In 2008, Atlanta hip-hop artist Alexis Miller got a restraining order against O’Neal, claiming he threatened to hurt her after their romantic relationship ended. She also charged that he would call and breathe heavily into the phone, plus said he would ruin her career. Shaq, meanwhile, is rumored to be having an affair with Laura Govan, the fiancée of Washington Wizards star Gilbert Arenas. Word around the DC blogosphere/Twitterverse is that the unloaded guns found in Arenas’ locker were really intended to intimidate Shaq, who was mysteriously unable to make the trip to DC when his team faced the Wizards earlier this season.